Key contributor to the re-branding of a Jamaican icon. 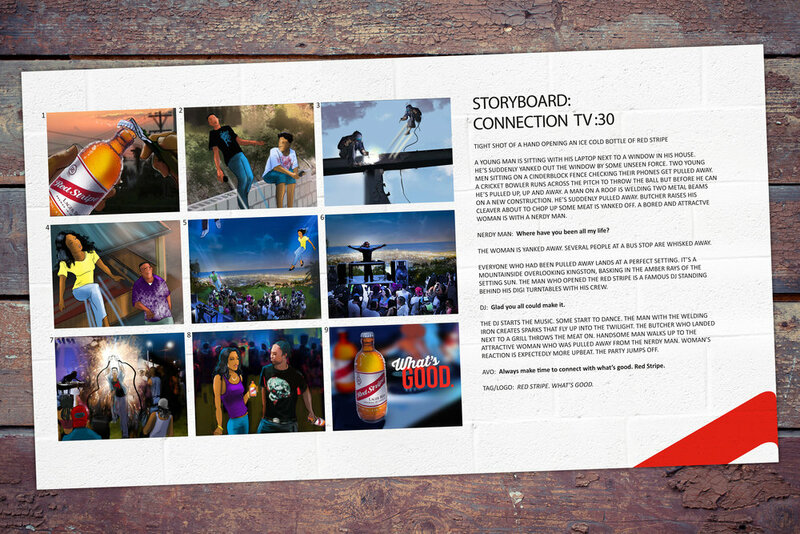 Worked on project from concept to completion, with commercials airing on the island and on YouTube. 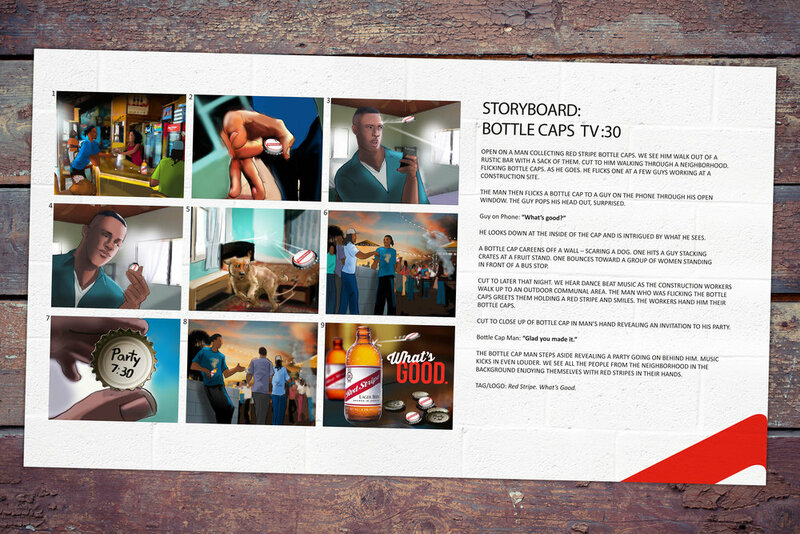 Perception of Red Stripe went from "my grandfather's beer" to fresh and exciting. Most importantly, sales skyrocketed 40% within the year.